July 2013, was a very exciting time for local entrepreneur, Derek Hayden. It was a time when years of hard work and dedication culminated to bring a lifelong passion for health care and helping people to fruition with the opening of Central Laser Therapy on Hardy Avenue, GFW. While Derek has been working in health care in the area for over 6 years, accepting the challenge of opening his own practice was a natural step. When asked why he chose this field, he responded by saying “I love health care in all its forms, and I love a challenge. Being a huge supporter of integration medicine, I wanted to integrate the theoretical and practical application of Traditional Chinese Medicine into the high tech emerging field of photomedicine. Being a practitioner of Traditional Chinese Medicine and a Registered Acupuncturist allows me to include a wide range of therapeutic modalities, such as laser therapy, seamlessly into my practice. Low Intensity Laser Therapy, when used properly, can have a significant positive effect on inflammatory issues, such as chronic pain, injury, and arthritic conditions. Due to the non invasive, non toxic nature of Low Intensity Laser Therapy, it has become a mainstay of my practice over the last 4 years or so”. When asked what he attributes his success to, Mr. Hayden said that the support of family and numerous mentors, including the valued guidance of Dr. Doug Evans and the late Dr. James Black, as well as numerous physicians and therapists, stand out as being integral in his journey. “ From a business perspective, I feel one of my biggest assets, as a clinic owner, would be the ability to see Central Laser Therapy ‘the business,’ and Central Laser Therapy ‘the clinic’ as one entity. My energy and passion lie in therapy, and the idea of helping people in pain, however, without proper focus on the business side, as a whole, the clinic would not be effective in helping people. No matter how passionate you are as a therapist, you can never ignore the business end if you want to be effective at what you do. 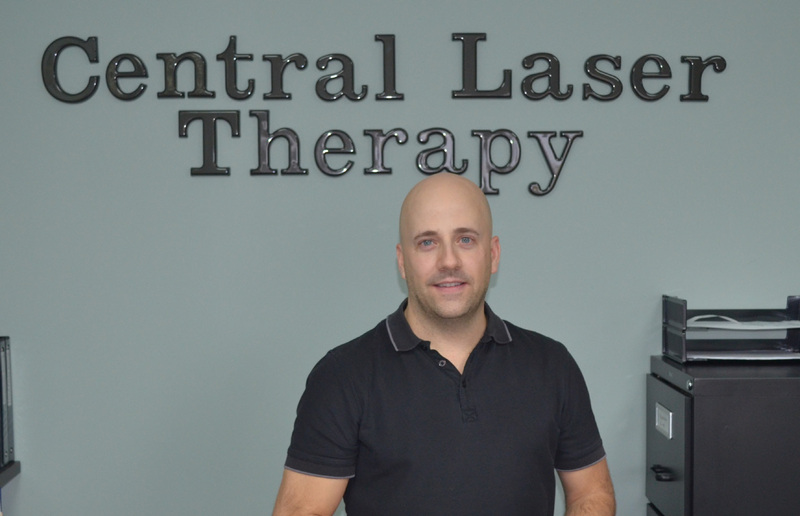 Seeing Central Laser Therapy as both a business and a therapy clinic, has allowed me to maximize my efficiency, offer more therapies, and has allowed me to expand and utilize the best class 3b laser technology in the world. Without a smooth running business, I would not be able to practice what I love. This ability to see the clinic and the business as one entity, has allowed me to put more energy into it, and has been my greatest asset to date”. CBDC-Central is proud to have played a part in helping this thriving business along. We wish Derek success in pursuing his passion and growing his business. Central Laser Therapy is located at 27 Hardy Avenue, GFW, Tel: 709 489 2744 or email centrallasertherapy@hotmail.com.